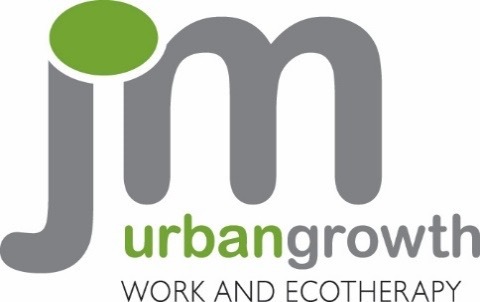 Urban Growth is a work-based recovery and training project. We provide horticultural training and therapeutic support to adults with severe and enduring mental health issues help participants improve their mental health, wellbeing and learn valuable vocational skills. Our primary site is located at the upper level of the Elm Village Open Space where we grow a wide range of organic vegetables, herbs and fruits all year round in 50 plus raised beds of various sizes and shapes. The site has a composting facility from which we generate our own compost, leaf mould and liquid fertilizers, a greenhouse in which we produce our own transplants and a mini orchard. The site we use is public access, although it is good to know if specific visitors are coming along on site days to ensure this is planned in, and suitable for the members. Our office in based in Archway, but out flagship site is based in Camden Town, next to Camden Garden Centre NW1 0JW, upstairs in the park next door - Elm Village Open Space. This is on Barker Drive - the nearest station is Camden Road, a maximum of ten minutes walk.